LOA: 22 ft. 3 in. Dry Weight w/ Engines: 3,600 lb. Passenger Capacity (NMMA): 10/1,500 lb. 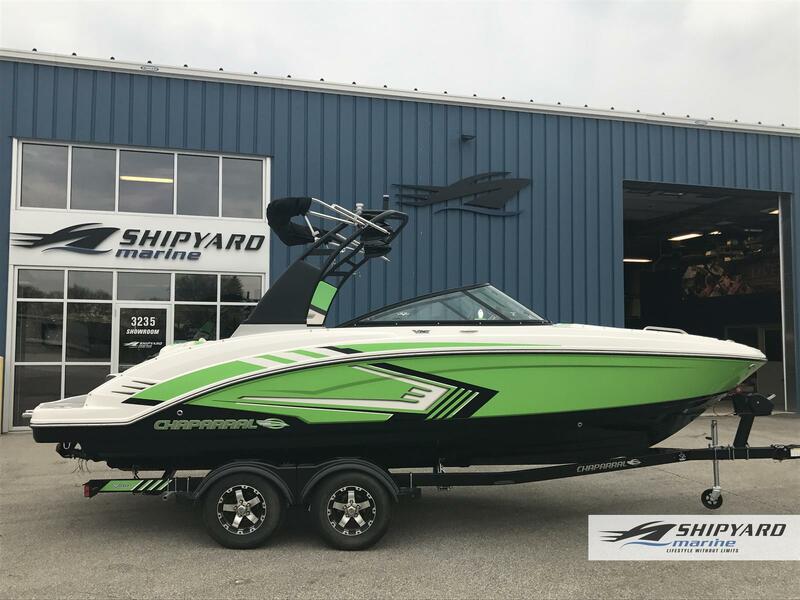 Chaparral put all the knowledge we've learned about boat building in the last 50 years into the 223 VRX. The end result is a family jet boat that's priced right, built right and exactly right for you. Twin engine performance creates a quick to plane, agile and solid ride.